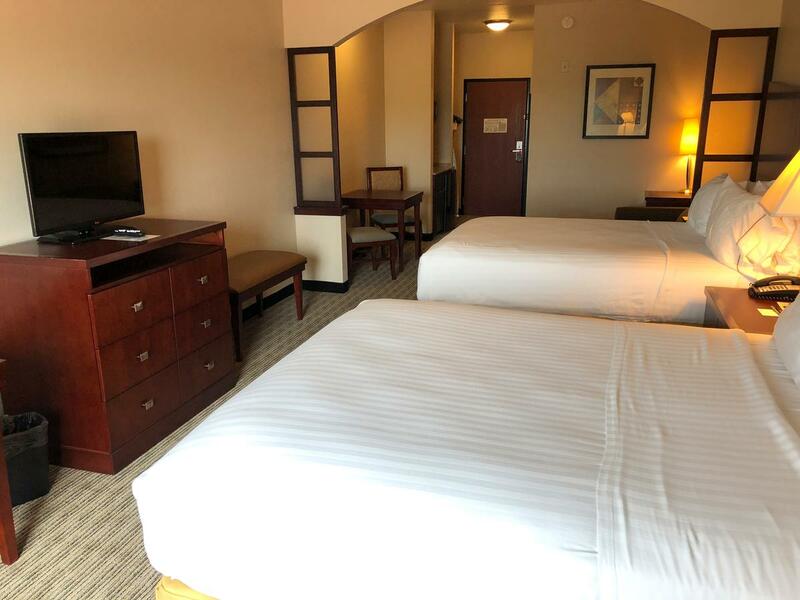 One of the most affordable hotels in Mineral Wells, TX, Red Lion Inn & Suites Mineral Wells offers many amenities for your comfort and convenience. The Red Lion Inn and Suites is located off Highway 180 East, two miles from the Mineral Wells Municipal Airport and near many of the area’s top attractions. Corporate travelers appreciate that we are within driving distance of many local businesses, including Peco, Texas National Guard, Genesys Aerosystems, Southwire, Polymer Adhesives, Tru Test, Electromedical Products International, Acme Brick, Jonell, Cantex, and Palo Pinto General Hospital. Business travelers can conveniently drive to work in the Jacksboro, Millsap, Strawn, Graham, Palo Pinto, Graford, Gordon, Weatherford, Garner, Pester and Perrin areas. For vacationers, there are plenty of attractions located nearby. We are within one mile of the Clark Gardens Botanical Park, Willow Lake Gardens, Vietnam War Museum, and the Old Historical Baker Hotel. Spend the day with your family at our outdoor pool and whirlpool or at the Mineral Wells State Park or we are 45 miles from Possum Kingdom Lake. With many unexpected amenities, we invite you to stay at our premiere hotel with traditional Texas hospitality.